WPP's Jeremy Bullmore, a former creative director of J Walter Thompson and one of advertising's most admired and loved figures, has been named by the Advertising Association as the latest recipient of the prestigious Mackintosh Medal. 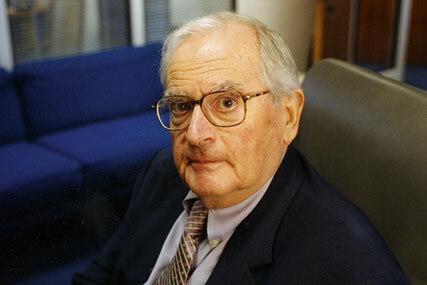 Bullmore, who also writes for Campaign each week, dispensing his unique wisdom on questions relating to life in advertising and marketing, will receive the medal in honour of his work in the advertising industry for more than 50 years. The Medal is awarded for "outstanding personal and public service to advertising" and has only been bestowed eight times in the last 30 years. Previous recipients include Archie Pitcher, David Bernstein and Ron Miller. Tim Lefroy, the chief executive of the AA, said: "There have been 37 holders of the Mackintosh Medal since 1951. None can have been so widely applauded as this recognition for Jeremy." Bullmore will receive the medal in front of an audience of leading figures from the advertising industry at the AA President’s dinner on 15 June. The award will be presented by Sir Martin Sorrell. Penny Hughes, the out-going president of the AA, added: "Jeremy’s nomination has universal support – his contribution to this industry, and to our Association, is beyond measure."